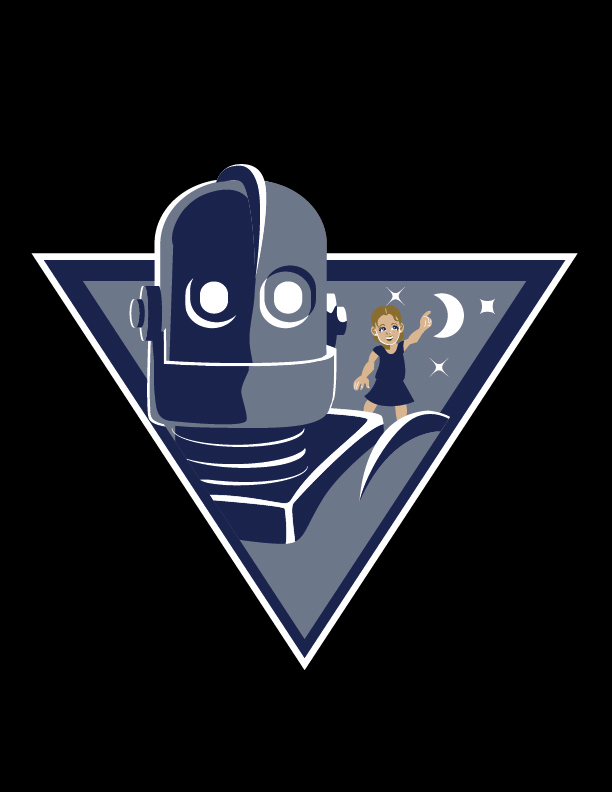 Here are two vector illustrations I did for a friend who is a big fan of the Iron Giant. He wanted to see his granddaughters interacting with the Giant. 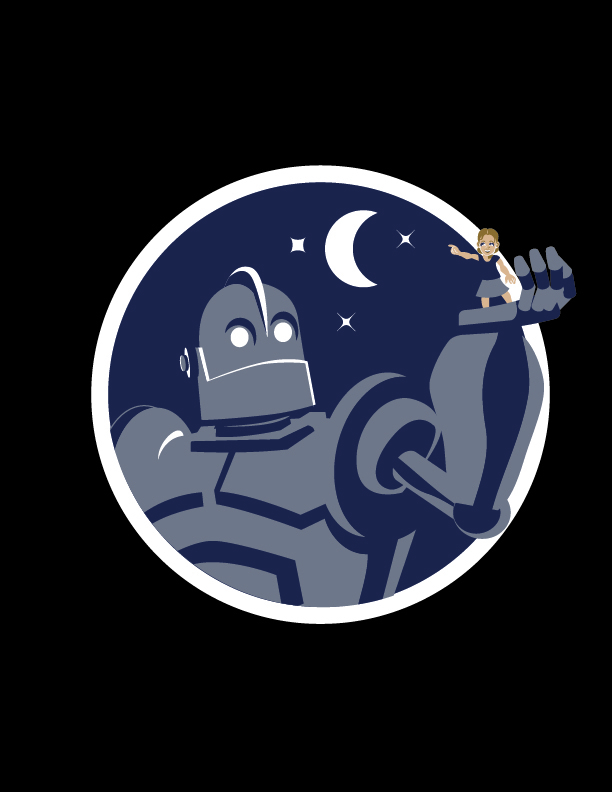 The design of the robot lends itself to dramatic lighting. I created three roughs with pens and markers before scanning the two he wanted and vectorized them. Next postHalf Dog, Half Wolf!